Taiwan will always hold a special place in our hearts. It’s a place where the locals go out of their way to display enormous amounts of kindness to each and every foreigner they pass. It’s an island with chaotic night markets, sensational food, and garbage trucks that play Beethoven. 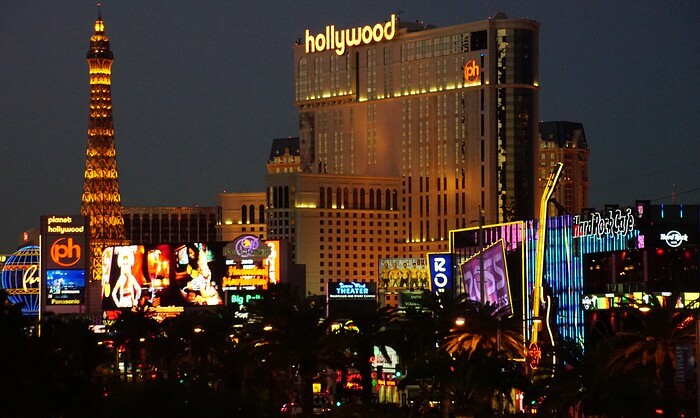 It’s a location with some of the most stunning and dramatic scenery we’ve ever encountered. But not only does Taiwan boast a vibrant and inviting culture, it also has plenty of unique corners that promise to keep travelers inspired, engaged, and perhaps even confused. 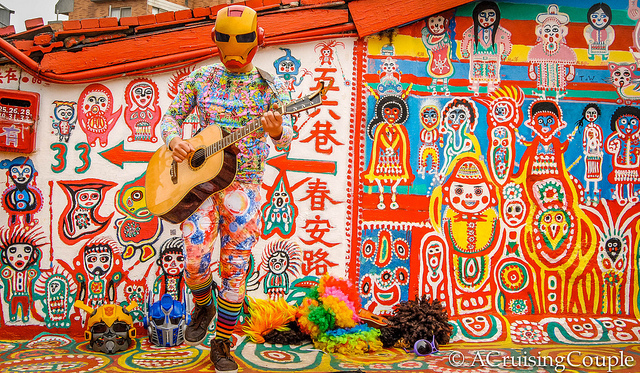 If a visit to Taiwan is in your future—and trust us, it should be—be sure to make time for these five offbeat destinations. It’s only appropriate to start off with one of our favorite places in all of Taiwan. Located on the northeast coast, Long Dong (Dragon Cave) gets its name from the shape of the coastline, which resembles the body of a dragon. Spectacular sandstone crags rise 70 meters to the sky while crystal-clear waves crash upon the rugged, sun-baked rocks. Access to the base of the cliffs is only granted after following lengthy footpaths, which promise seclusion and isolation. Long Dong is primarily known to the rock climbing community in Taiwan—and all of Asia—who flock to the cliffs to take on over 500 climbing routes. With options for sport climbs, trad, deep-water solo, and bouldering, both advanced climbers and beginners will be kept endlessly entertained. If viewing Long Dong from 70 meters high doesn’t exactly get you excited, there is also plenty of hiking and scuba diving to be had. Alternatively, bring your favorite book, find a comfy boulder, and enjoy the stunning surroundings. 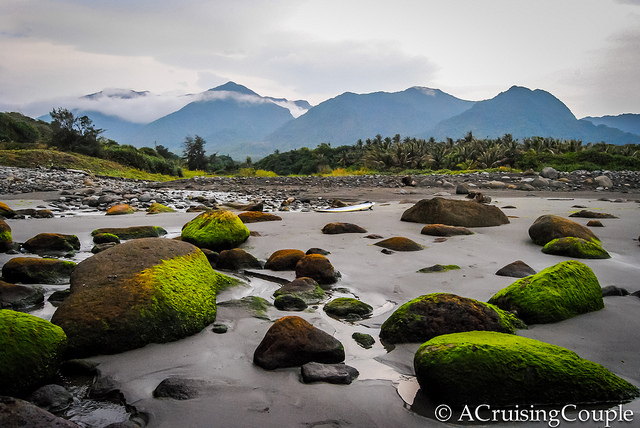 Dulan is a small, aboriginal beach town 20 kilometers outside the large city of Taitung. Expats who have made it their home call it the Ubud, Bali of Taiwan, primarily for the bourgeoning art and music scene originally cultivated by the local Ami Tribe. While the beach may not boast white sand, it does have some of the best surfing waves in all of Taiwan—hence why it is beginning to appear on the expat radar. But because of its location on the southeast coast, few tourists or locals ever make the trek to Dulan, which promises ample surf space. Surfboards are easily rented from multiple bars and cafes down the town’s only main road. If you time your visit on a Saturday, be sure to visit the Old Sugar Factory, now a refurbished bar and café with live music. You’ll find the atmosphere in Dulan is notably different than the rest of Taiwan, slower and more relaxed. The Rainbow Village is a military dependents village, founded over 50 years ago. It has been transformed into the unique attraction it is today as a result of the talented Huang Yung-Fu, an 86 year old who picked up his paintbrushes and personally covered the buildings with colorful animals and aboriginal-like people. The majority of these drab, concrete houses have been demolished to make way for modern, high-rise complexes so common in cities across Taiwan. Luckily, thanks to the efforts of Huang Yung-Fu, the Rainbow Village will continue to be preserved. The village is quite small, so you won’t need much time to explore it fully; however, if you are in or around the nearby and popular city of Taichung, it is definitely worth the excursion. Shihtoushan, or Lion’s Head Mountain, is a stunning foothill located in the midst of dense jungle and bamboo forests. The main attraction at Lion’s Head Mountain is the Shihtoushan Historic Trail and its numerous temples built into the hills and tucked away in the caves. It is quite astonishing to contemplate how these temples were constructed, and why they were ever built in such a difficult place to access. The most elaborate of all the temples is the Taoist Cyuanhua Hall, a three-story masterpiece where monks and nuns bustle about. Visitors can stay the night here, and the temple provides vegetarian meals in the cafeteria for around $2 USD. 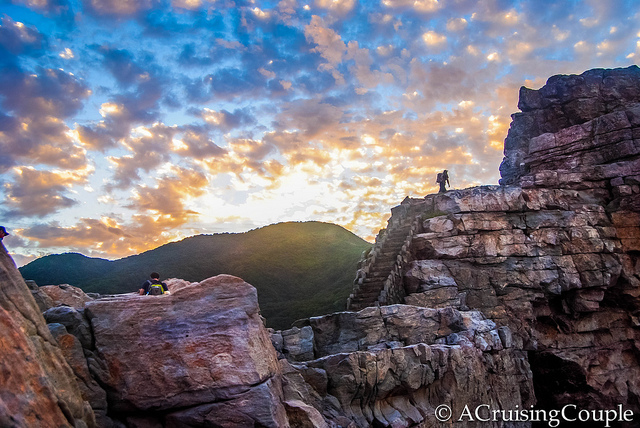 Allow at least three hours to wander about Lion’s Head Mountain, though it’s easy to spend longer; in addition to the paved Shihtoushan Historic Trail, there are ample walking and hiking paths that vary in difficulty and terrain. Sorry guys—this one is a bit of a cheat because it’s a whole bunch of venues all wrapped up in one. However, no trip to Taiwan is complete without a visit to one of its theme restaurants. To understand why things like theme restaurants even exist, first you must know that it’s all about the cute, or ‘ke ai’, in Taiwan. The ‘cute factor’ extends into just about every realm of life, from fashion to names to relationships to food. You mean food can be cute? Absolutely—although it’s not really the food as much as the general ambience that is essential. 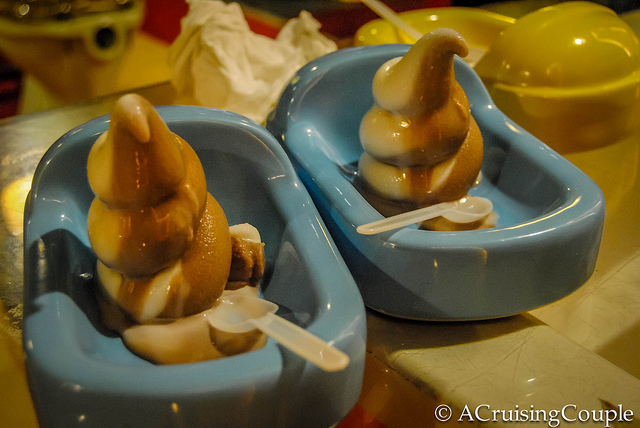 The most popular theme restaurant is the Modern Toilet, where seats are designed as toilets, tables as sinks, showerheads decorate the walls and all food comes served in a miniature toilet bowl, including the signature chocolate swirl ice cream. However, if you prefer to keep your meals away from the washroom, try the theme restaurants devoted to Hello Kitty, Barbie or ninjas. 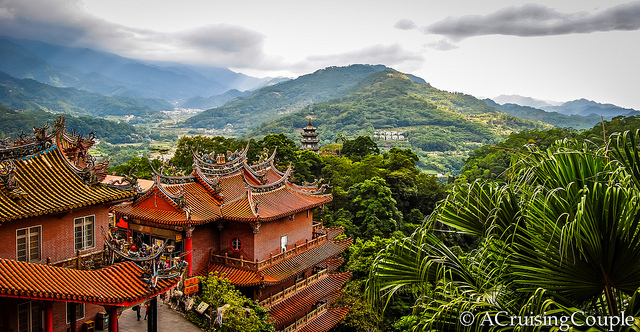 These are just five of our tips for experiencing Taiwan like a pro. To catch more ideas for eating, living and traveling in Taiwan, be sure to download our free eBook, 101 Tips to Living in Taiwan. Dan and Casey are two lovebirds slowly, indefinitely traveling the world. 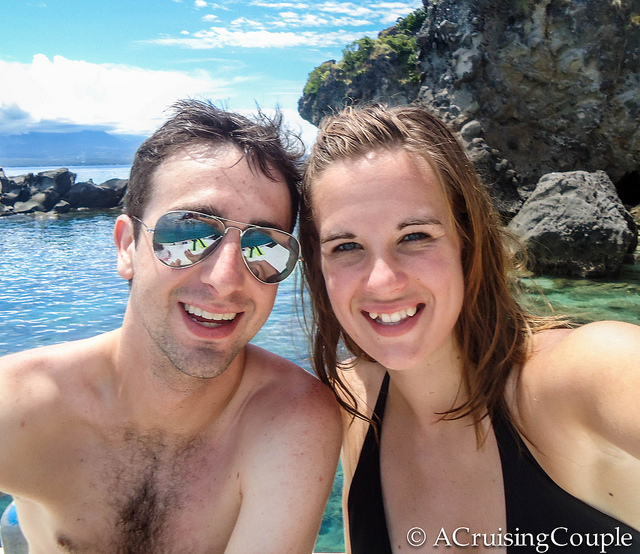 They share practical travel tips, top-notch travel photography and inspiring travel tales on their blog http://acruisingcouple.com. When they aren’t on the computer, you can find them training for marathons, cross-country cycling, and drinking wine, though not normally at the same time. Connect with A Cruising Couple on facebook and twitter for more travel tips and special travel deals! I will be posting more about some amazing hidden locations in Taiwan soon! 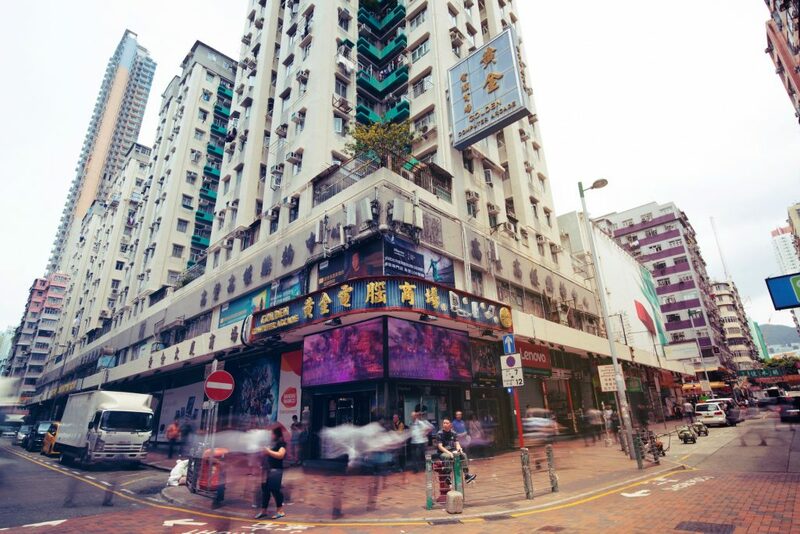 Stumbled upon your site whilst preparing my itinerary for my trip to Taiwan. I’m a hobbyist photographer and I guess I’m also a foodie of sorts. Where do you think is best for me to visit? I’ve never been there but when I saw Rainbow Village, I have started to think to go there whenever I get time to visit there. MY favorites would be Rainbow Village!!! We really enjoyed the rainbow village as well! It has such an interesting story behind it as well. Long Dong has been added to the list. Just from that one picture the place looks amazing. It is a very pretty spot. I’ve never been to Taiwan but it sure looks interesting. A trip to Lion’s Head Mountain sounds very interesting. Very interesting post! Didn’t know all this about Taiwan. We luv hiking, so Lion’s Head Mountain holds definite appeal for us. BTW – Your photos are luscious! Hiking Long Dong looks fun and that’s a great photo of the sunset! Taiwan is on my list of places to hike after I leave Korea. Are prices for diving in Taiwan pretty reasonable or would it be better to go to Thailand? Cool, thanks Dan. I won’t be able to head there until after I leave Korea next summer. I never thought Taiwan has this gorgeous places. Planning to travel Asia next year and I’d love to include Taiwan. Thanks for sharing! Our pleasure! Hope you make it there- you won’t be disappointed!! Absolutely brilliant suggestions! Thank you so much for this post! I can’t wait to follow up and explore each area in detail! All 5 places are spectacular! Loved the pictures! Taiwan is a gem which is quite unsung. Thanks Renuka! We agree- Taiwan certainly doesn’t get the credit it deserves. Hope more travelers will continue to discover its beauty! I remember reading about those bathroom themed restaurants about a year ago. How the heck did that catch on? Thanks for the post, I didn’t know there was such a variety of places in Taiwan. Isn’t it crazy? We weren’t a huge fan of the Modern Toilet restaurant, but it was certainly better than the Barbie themed restaurant ;-P We’ve heard their curry is actually quite good, though I’m not sure I could get over eating it out of a toilet bowl. Thanks for some good suggestions! I’m currently planning my trip to Taiwan, so I’ll have to check out some of these places. Great! Let us know if you need any more suggestions. After living there for two years we have lots of tips 🙂 You’ll love it! I really Love seeing the beautiful places you have been!And your writings of your adventures! What a find. 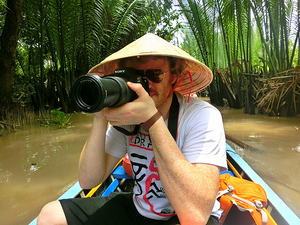 I’m so glad to be introduced to your blog through Nomadic Samuel. Your recommendations look spot-on and I look forward to checking out more of your posts. Your photography is glorious! I am happy to see that you started with Long dong on your list because to me it is the best destination in Taiwan made famous by it’s abundant marine life and tropical fish. Snorkeling and scuba diving also thrives in Lond Dong. I think in general Taiwan has so many attractions and destinations worth visiting.